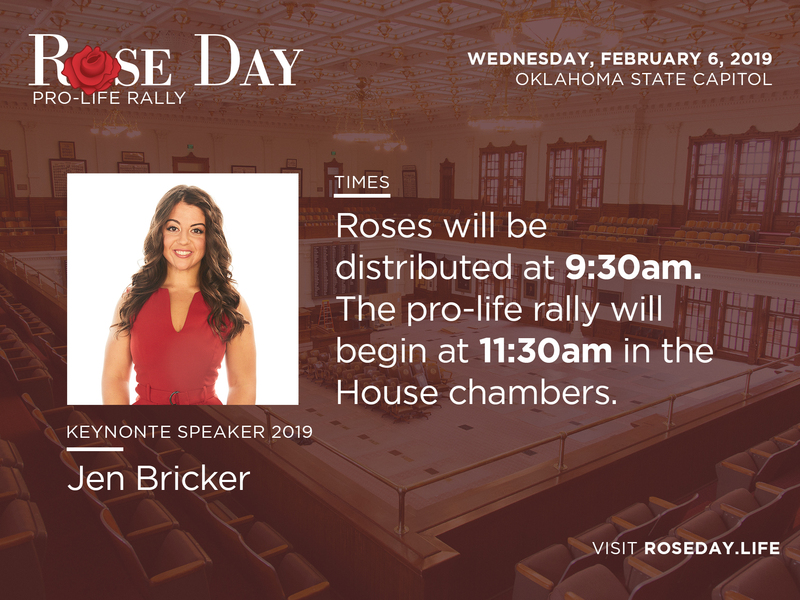 Oklahomans have an opportunity to express their belief in the sanctity of human life to their legislators during the 28th Annual Rose Day this February at the State Capitol. Registration / Rose Distribution: 9:30-11:30 a.m.
Each year, hundreds gather at the Capitol at the beginning of the new legislative session to promote and support the lives of unborn babies by meeting with their state senators and representatives and presenting them red roses, which represent the sanctity of the unborn. Attendees are encouraged to present roses to their representative, senator, Lieutenant Governor and Governor. You will need to bring your own roses. Roses will not be provided. The south and east parking lots will provide ease of entry and exit. 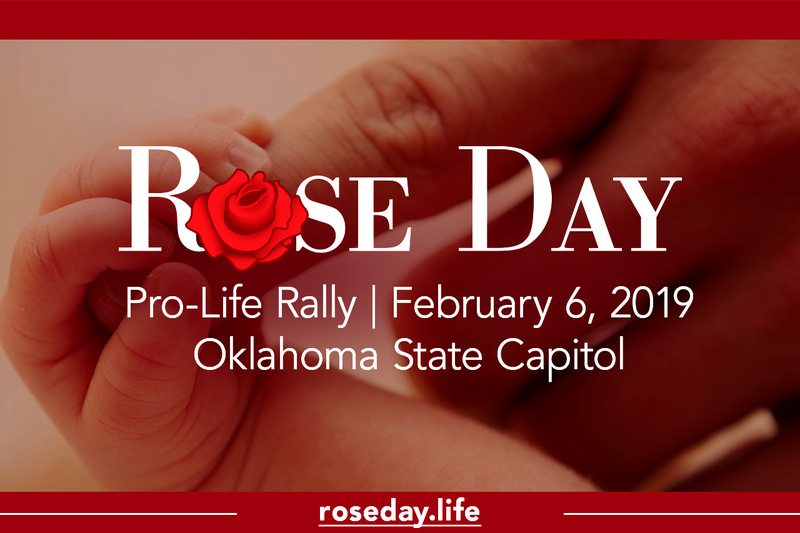 The Rose Day rally will be indoors and is free of charge. The rally will take place in the State House of Representatives chambers. Overflow seating is available in the State Senate chambers. Both are accessible from the 4th floor rotunda. Day of registration is available. Registration tables are located at all entrances into the 4th floor rotunda. You can find out your legislators at the event. Large posters will share where their offices are within the Capitol. This event is child friendly however childcare is not provided. Allow a bit of extra time to go through security. watching Dominique on TV helped inspire Jen to start competing herself. Seemingly against all odds, Jen went on to compete against able-bodied athletes and became a state champion in power tumbling. As part of her amazing story, and as a twist of fate, Jen later learned that her childhood gymnastics idol, Dominique Moceanu, was actually her biological sister. Always challenging herself, Jen made the transition into an accomplished acrobat and aerialist. As such, she has traveled internationally and appeared as the headliner at prestigious venues, including The Shangri La Hotel in Dubai. accomplishments, including being featured in well-renowned TED talks. Jen hopes to inspire and motivate others to BELIEVE that anything is truly possible. Jen published her first book, Everything is Possible, that hit the New York Times Best Sellers list in 2016. Download these materials to encourage your church family and community to participate in Rose Day.